While planning her family reunion, a pistol-packing grandma (Perry) must contend with the other dramas on her plate, including the runaway who has been placed under her care, and her love-troubled nieces. Taglines: Learn dignity. Demand respect. Maya Angelou's character is named May, her childhood nickname. Continuity: When Nikki walks in to the kitchen for breakfast before school the plate is empty. When the scene changes the plate is wrapped in foil. When it switches back the plate is empty again. When Nikki leaves it is wrapped in foil again. May: Love is many things. It's varied. One thing it is not and can never be is unsure. And What a Family Reunion! This is to me just an amazing, funny, delightful movie. But first ... to be honest, I wasn't planning on seeing this movie at all. 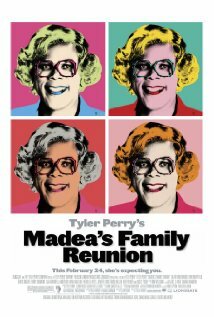 I had (woe be to me) never even heard of Tyler Perry. And the film's title alone sounded ... well ... unappealing at best. The synopsis I'd read suggested yet another movie with a man playing an overweight black woman. That might have been funny once or twice ... in Big Momma's House, and The Nutty Professor ... but surely can't keep carrying so much water as to make yet another movie about this same motif, right? Well, be that as it may, I noticed that this film had hit the top of the box office when it opened a week ago. And then I read a review this morning by a typically politically correct reviewer who was "dissing" the movie. Now this is a reviewer I've come to rely upon as always panning movies I like and waxing enthusiastic about movies I dislike. So reading this reviewer's badmouthing prompted me to try out this movie ... and I am so glad I did. I think I can see why high-minded PC reviewers wouldn't like it. It's a "popular" comedy, full of rough, earthy humor, celebrates Black cultural child-rearing values, and unapologetically celebrates God and family. No wonder it's been a hit with the general Black American culture, especially Black Churchgoing culture. What is it that makes this movie so funny and so deeply heart-warming at the same time? Well, in some ways, this is something of an old-fashioned morality play. Such has a wonderful tradition in Western Culture ... and in African culture. A resurrection of the Morality Play is fine by me: just a shocker, that's all. I kept thinking, "how are these characters getting away with saying things like that?" As when the leading lady says she's given her life to God and has been celibate and will stay celibate till she's married. How is it possible for something like that to show up in a general release movie in this day and age? Not as a statement to be mocked, but as an expression of genuine faith in God and Chastity? I just shook my head and smiled and enjoyed the sheer frank morality of the movie every time it surfaced ... which was pretty often indeed. The music was resplendent throughout the movie, but the sound seemed a little problematic at times. The audio was almost echoing, flat, tinny ... sort of like a somewhat bad mono recorder. The cinematography was fine, but in a way, very old-fashioned ... stylistically similar to the movies from the early days when films were often framed as theater transferred to the screen. Maybe that reflects Tyler Perry's background, I understand as a playwright. But for example, the camera follows the action in a very straightforward, even simple way: head on, straight up, no angle shots, no through shots, no complex dissolves or modern "realistic" camera "jiggling". Maybe this is intentional: the movie is telling a plain, straight story with feeling and humor and no hint of subtlety. If this is what's going on, it's fine by me: because this makes for a very candid, very honest, but never discomforting style. Perry's narrating a Story, Telling us What's Happening. Nuance is not what we're after here. Very basic human themes are painted with strong strokes. So we have a basic cinematography to fit this purpose. Fair enough. There's an interesting interplay of serious and humorous material at two levels. First, there's some very tight sequencing in which strongly emotional material is followed by strong humor. 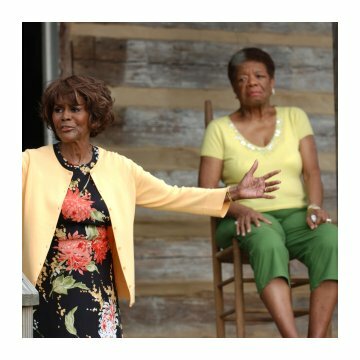 Some will like this, some not, but it's very much at the core of Madea's character, and the overall character of the movie. Second, "serious" scenes are sometimes interspersed with humorous scenes inserted clearly for no other reason than plain comic relief. I think some might find that a little jarring. Still, it works for me very well. And this kind of thing goes back to Shakespeare at least, so I know it works for others as well. The acting and characterizations were wonderful. Now again, don't look for subtlety, that's not the nature of the movie. But if it's good, solid performances matching characterizations to characters, this movie has it all. 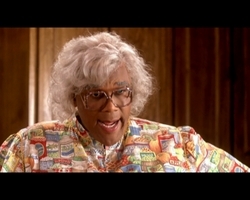 Tyler Perry as Madea and Joe was simply perfect. But the entire cast provided strong, reliable performances. Including a delightful cameo by Maya Angelou. A few "plot holes" have been alleged. I see what's meant, but frankly, don't agree at all. This is a movie that for the most part is stylized, full of art and artifice, not a "realist" movie in which careful plotting is critical for believability. A movie like this is more like a painting, or a song ... a ballad. A popular folk ballad, full of humor and fun and tears and hugs ... and lightly textured but unapologetic moralizing. This movie is a classic combo of Entertainment and Edification. The final scenes at the farm, and at the wedding, really sum up the movie in both respects, and keeping a scorecard on consistency of details is very out of place, it's directly contradictory to the genre. Last but not least, I have to say that the figure of Madea ... tying everything together with humor and wisdom ... is a sheer delight. I'm told she'll be back on the silver screen. Good ... I can't wait to make her acquaintance once again some day. And needless to say I'm going to try to find and watch Diary of a Mad Black Woman as soon as I can find it ... !